In April of 2015, President Obama signed the Medicare Access and Chip Reauthorization Act into law. This act repeals the Sustainable Growth Rate formula, which has been on place nearly 20 years, and links Medicare annual payment updates for physicians and other professionals to prior year spending and gross domestic product growth. With MACRA, CMS will begin to implement sweeping changes to how physicians and hospitals are paid. Specific performance measures go into effect in 2017. We all need to consider how this complex program will impact our organizations. 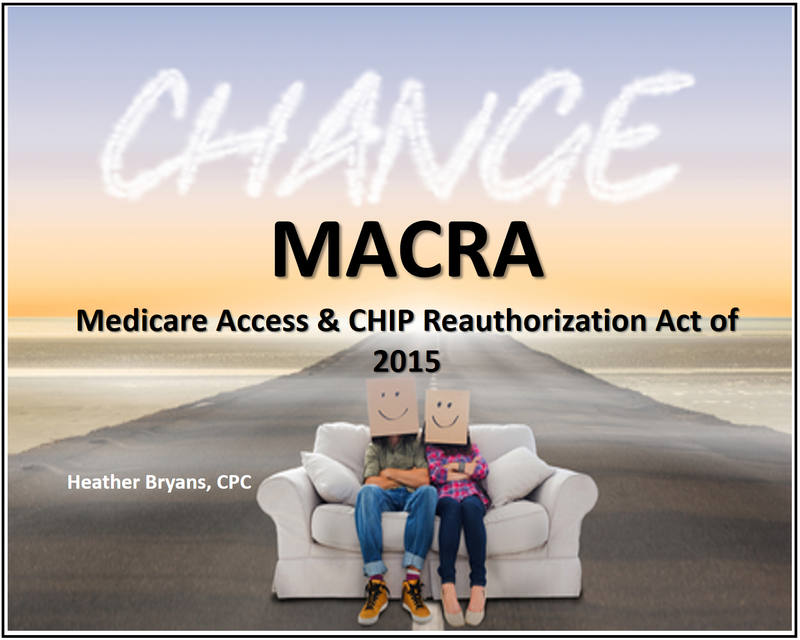 In this session we providing an Overview of MACRA and how you can prepare for it including an in depth look at the two MACRA payment pathways MIPS (Merit Based Incentive Payments System) and APM’s (Alternative Payment Model).